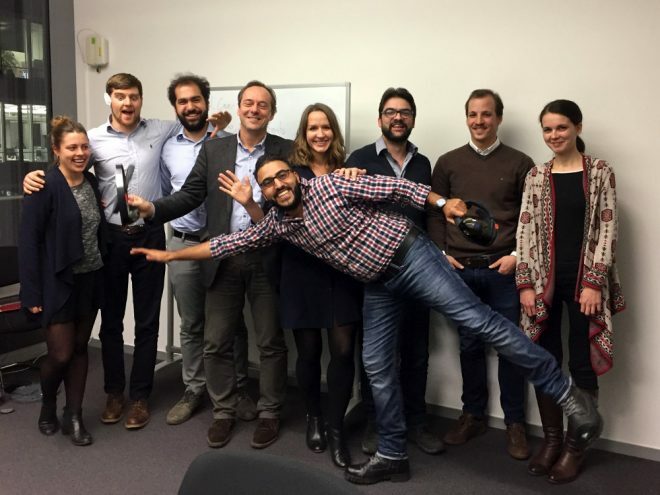 Therapy Lens Project Officially kicks-off: Time to innovate! The Therapy Lens partners met on January 12th to 13th 2017 to officially kick-off the project. It was a very productive meeting with all of the project partners discussing the plans for 2018. 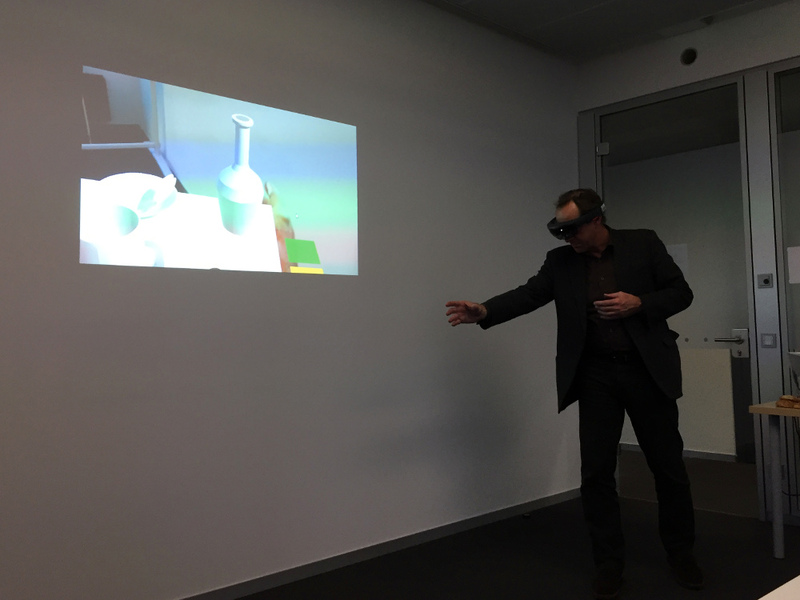 A demonstration of an early version of the Therapy Lens app developed by RWTH Aachen was the highlight. This gave our partners a clear understanding of what we have the potential to achieve in 2018. In line with our focus on daily activities, the demo presented an augmented reality tutorial on preparing a cup of tea. The tutorial will be adapted in the coming months to create a series of interactive games for users. These games will be the basis of the Therapy Lens application designed to improve a patient’s ability to live an independent life. Since the kick-off meeting, the project partners have been working hard to begin each of their assigned activities. RWTH are continuing their technical developments of the app’s features with the support of TUM who are specifying the content. 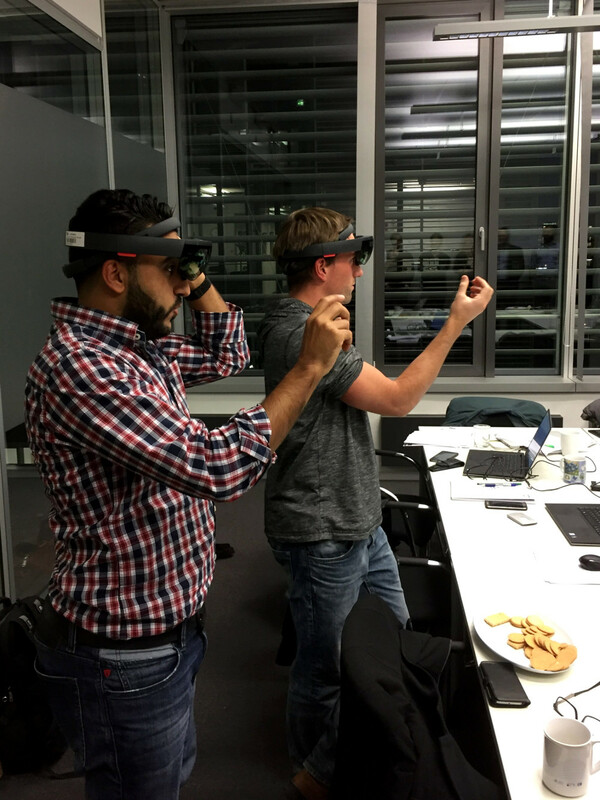 Imec is currently preparing a validation study with the HoloLens to better understand the capabilities of our planned app. Meanwhile, RWTH, TUM and imec are organizing an exciting student exchange which will begin in late April. The lucky students who’ll participate in the exchange will get the chance to develop their own game for the Therapy Lens project. They will visit each organization and learn the required technical and knowledge based skills along the way. On the business side of the project, Cap Digital has been busy creating an advisory board for the project. So far we have seven members on board from a range of backgrounds ranging from gaming to augmented reality to academia. The advisory board will play a key role in 2018 evaluating our app at the various stages of early development. This will help to ensure that our app stays on the correct path to a successful market entry. The next big step in the project will be a small pilot of the app with patients and clinicians in April. MADoPA and TUM are working closely together on the design of this pilot to ensure that these key stakeholders have the opportunity to explore our app and provide some initial feedback. Excitement is growing among the partners as a new update of the app from RWTH Aachen University will arrive in the coming week.